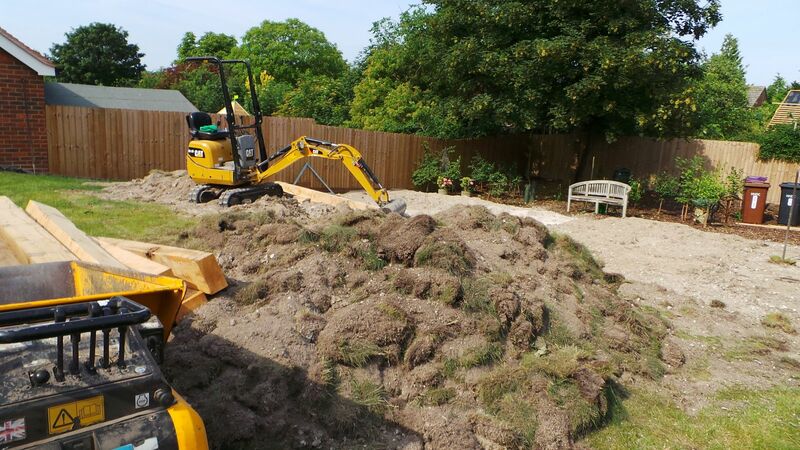 South Cambs Landscapes Ltd can carry out a variety of groundworks such as clearance, drainage, earth moving and levelling. 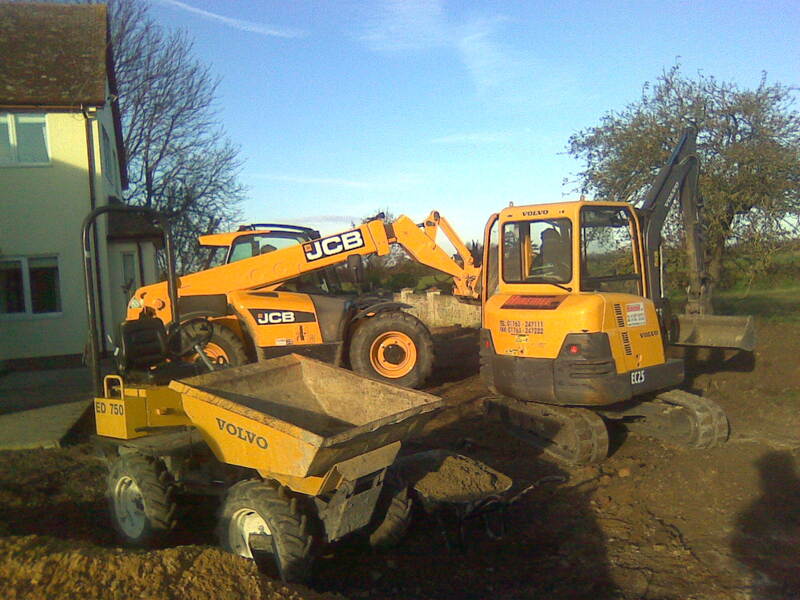 We have access to all kinds of machinery from small mini diggers and dumpers through to loaders, rollers and up to 20 ton excavators, enabling us to carry out a large range of projects. We can clear sites in readiness for a new build project, dig footings and bring up to damp course level, this is especially usefull for a self build.